SAD is more common in women, young people, and those who live far from the equator. You are also more likely to have SAD if you or your family members have depression. The exact causes of SAD are unknown. Researchers have found that people with SAD may have an imbalance of serotonin, a brain chemical that affects your mood. Their bodies also make too much melatonin, a hormone that regulates sleep, and not enough vitamin D.
The main treatment for SAD is light therapy. The idea behind light therapy is to replace the sunshine that you miss during the fall and winter months. You sit in front of a light therapy box every morning to get daily exposure to bright, artificial light. But some people with SAD do not respond to light therapy alone. Antidepressant medicines and talk therapy can reduce SAD symptoms, either alone or combined with light therapy. Article: Light therapy for preventing seasonal affective disorder. 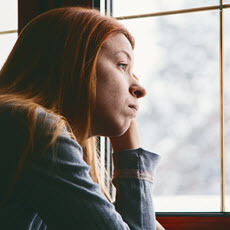 Article: Second-generation antidepressants for preventing seasonal affective disorder in adults.